Ferrari had a rough go of it in the stock market today, but that’s alright. Lots of companies have a rough go of it in the market every day. Thankfully, Ferrari Chairman Sergio Marchionne basically said that no matter how rough it gets, we won’t have a Ferrari SUV. But some commenters don’t think that’s enough. 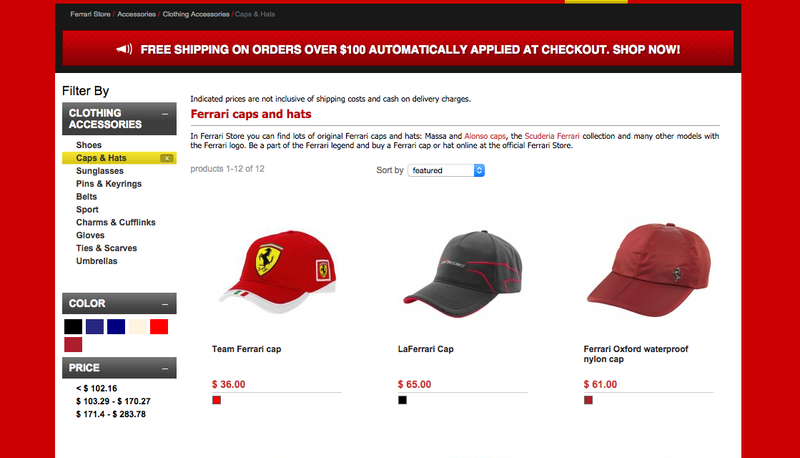 PotBellyJoe seems to be upset about Ferrari’s admittedly prodigious merchandising efforts, feeling it “cheapens the brand,” in a way that goes even further than building a Ferrari LaCrossover would. And you know what? I actually agree with Señor Magdalenas de Sangre on this one, about merchandising and reasons of existence. But I don’t think he goes far enough. It’s been said, in various corners of the Internet and with wavering degrees of credibility, that Enzo Ferrari only sold road cars in order to pay for the company’s race program. If that’s the case, then, anything Ferrari does in order to fund its race program is in furtherance of that goal. Funding glorious racing is the company’s reason for existence, and if they choose to do it in merchandising, then so be it. Congrats to both PotBellyJoe and MrBloodMuffins, you’re on the COTD podium today. May you both forever argue in the comments.